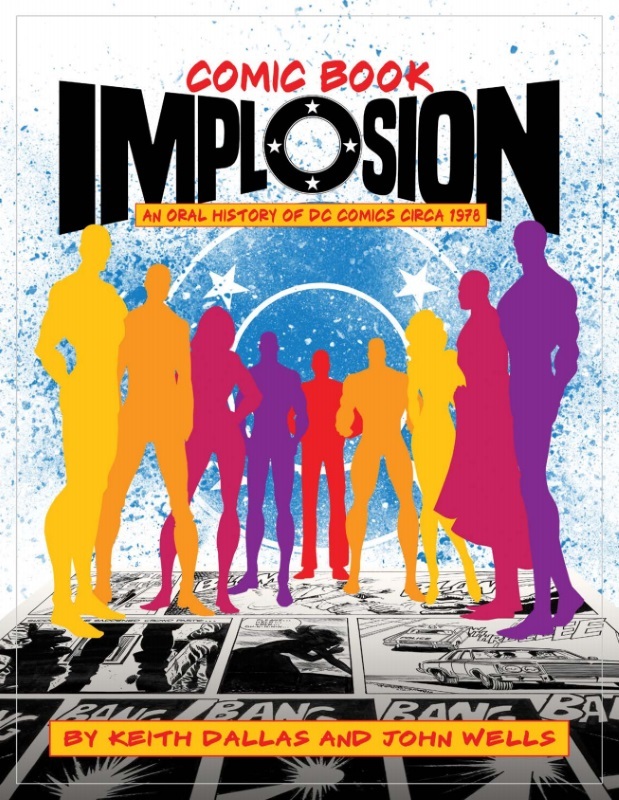 I’ve long heard about the DC Implosion of the late 70s and now there’s a book collecting interviews and recollections from most of the major players of the time, talking about it, the state of the industry before it, and what happened after. 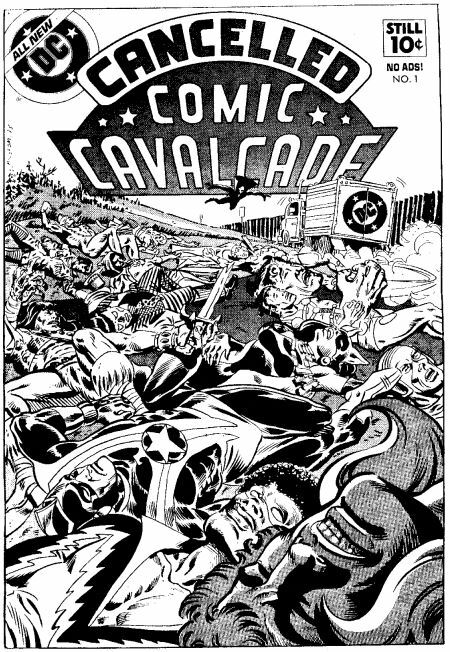 there’s mention, too, of Marvel and other companies as the factors that affected DC also had an impact on the other companies. It’s well worth a read for anyone interested in the history of this ridiculous industry we follow. 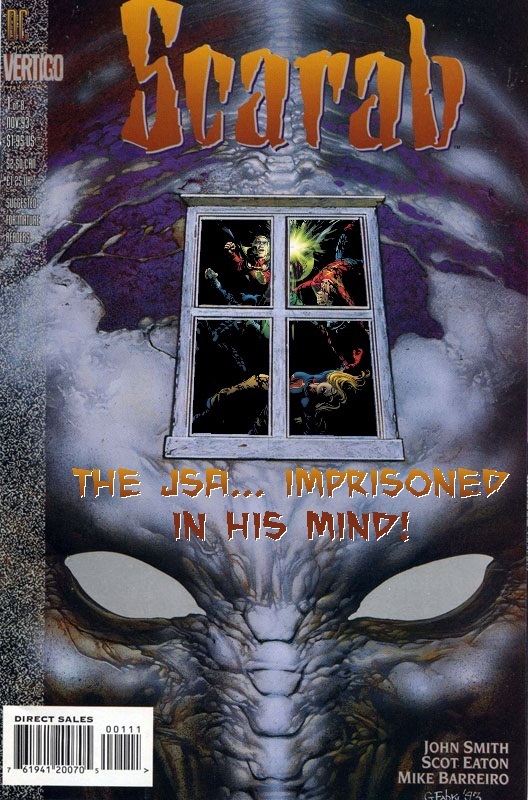 This was an easy one – just pop the JSA behind the window frame and voila! Didn’t realise until years later that the Scarab series was actually meant to be a Dr Fate mini-series but John Smith’s plans were so off the wall, DC nixed the idea and made him come up with Scarab . . . who ended up getting a couple of cameos in JSA a few years later. 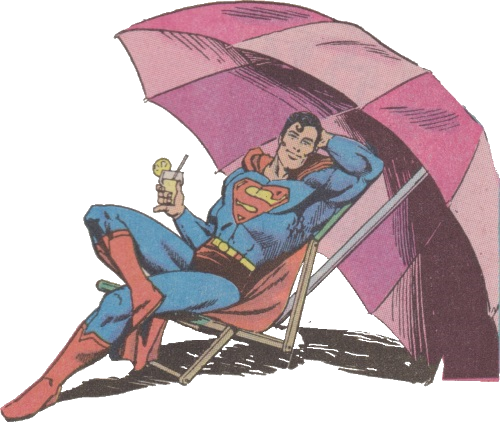 Admittedly he died in JSA but . . .
Mrs Earth-Prime and I are away for a few days so, with the exception of a scheduled Mash-Up, it’ll be pretty quiet round these parts until mid-next week. 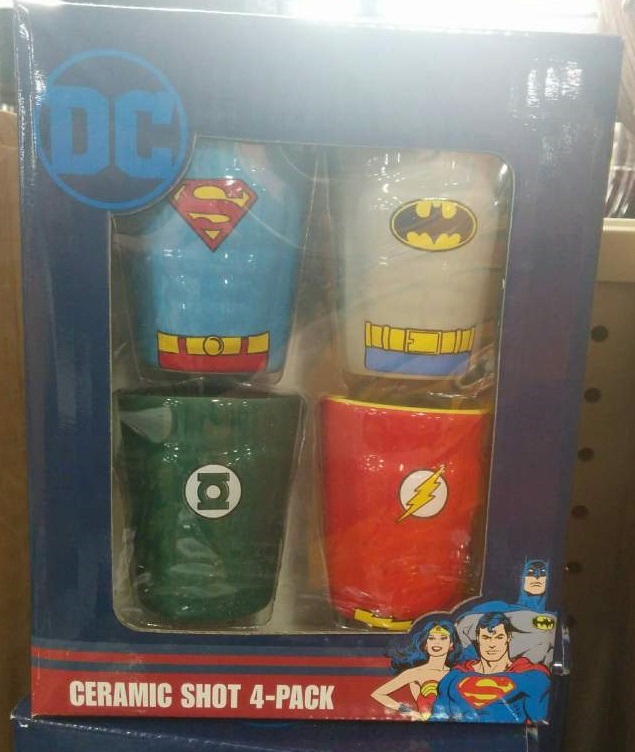 Saw a little article over at The Beat about officially licensed DC products like bottle openers and beers coolers. The art is very definitely late 70s/early 80s – Batman has a grey suit with the yellow oval around the bat; Superman is still in trunks; and Wonder Woman is her happy post-Lynda Carter self. As we know, hero costumes are periodically redesigned to give them a new look/boost sales (Jim Lee, I’m looking at you) but surely this shows that it’s not really needed – people will recognise these characters even if you use art from 40 years ago.